Hello! Thanks for stopping by my blog today. 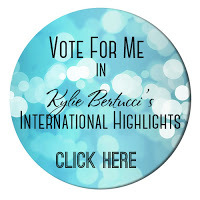 We are being highlighted by the wonderful Kylie Bertucci, and you can VOTE for my projects. The top ten winners will get to be part of an international blog hop in February, so please do go vote for me. I’d love to be in the top 10 blog hop again next month! 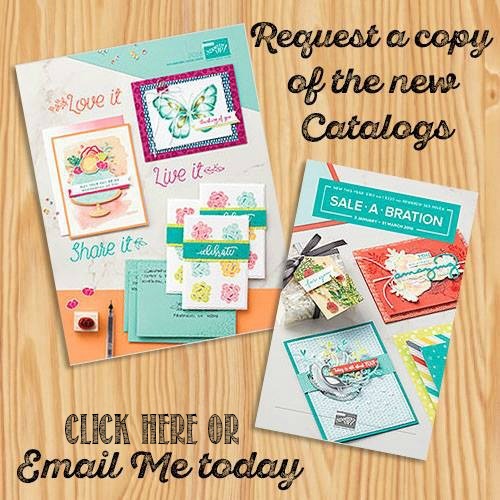 This month our theme is the Occasions and Sale-A-Bration products. 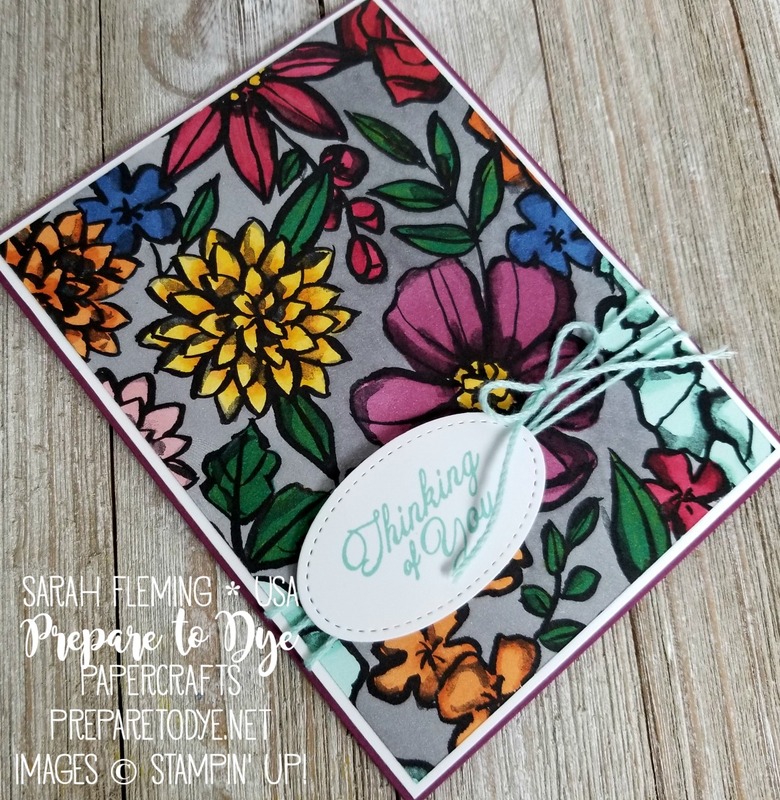 I chose to highlight the Petal Passion designer series paper, which is absolutely gorgeous, especially when you color it! I colored it with both the Blends and the Watercolor Pencils. For my first card, I colored a piece of the paper with Watercolor Pencils and a Blender Pen. Coloring with Watercolor Pencils takes for. EVER. But I knew this, so I brought the pencils and a Blender Pen to the living room with me and colored while I watched Curling with my husband. For this card, I used Daffodil Delight and Pumpkin Pie for the big yellow flower and the pointy one at the bottom, Real Red and Rich Razzleberry for the rose, Real Red for the pointy flower up top, Rich Razzleberry and Pacific Point for the purple flowers, Calypso Coral in the bottom left, Daffodil Delight and Pacific Point for the leaves, and Bermuda Bay for the background. Don’t be afraid to mix your colors! Lay down the light color first, smooth it with the Blender Pen, then lay down the darker color and smooth again. The sentiment here comes from Flourishing Phrases from the Annual Catalog, and the ribbon is the [free with $50 purchase] Sale-A-Bration ribbon. Inside the card, I stamped the matching sentiment and added a strip of the paper without color. 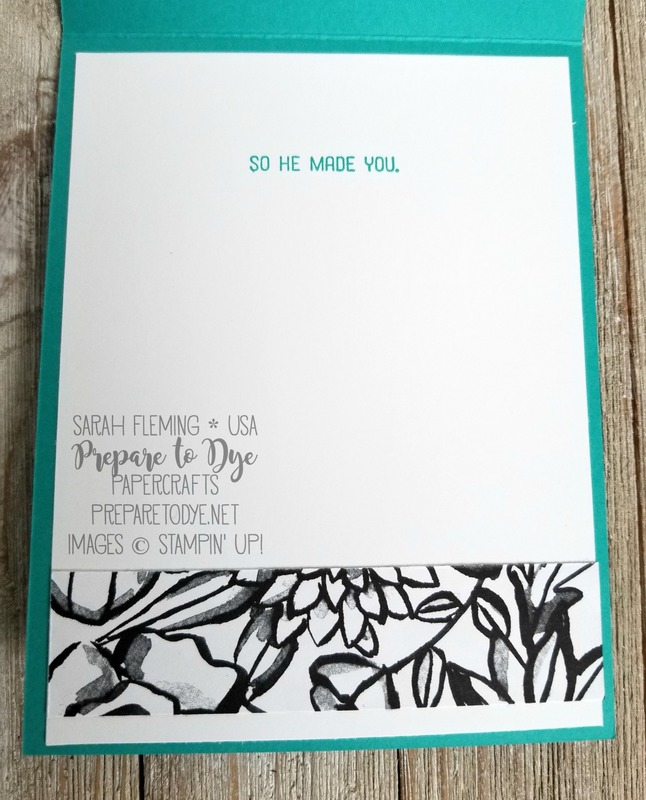 My second card uses the Stampin’ Blends alcohol markers. These are much faster and easier to color with and come out smoother. I used Cherry Cobbler, Daffodil Delight/Pumpkin Pie, Pumpkin Pie, Night of Navy, Rich Razzleberry, Pink Pirouette, and Pool Party for the flowers. For the leaves, I first colored them in with Dark Daffodil Delight, then went over them again while they were still wet with Light Bermuda Bay. I love the shade of green I got mixing thse two colors! My background is done with Light Smoky Slate. The sentiment on this card is from the [free with $50 order] Sale-A-Bration stamp set Heartfelt Blooms. Both coloring media are great, so it kind of depends on the look you’re going for. Which one do you like better? I’d love to hear your opinion! Thanks for visiting my blog today; I hope you like my cards! Make sure you head over to Kylie’s blog to vote for my cards and check out the other amazing projects in the gallery. I would love to be chosen to do the next international blog hop!